For your convenience, please search "elecfan + your product" to take the fastest way to buy other products you want and have a clear view of other products we offer in store. This Bluetooth in-ear headphones offers incredible crystal clear sound no matter your taste in music or answering a phone call; and you will never miss an in coming call phone with its voice prompt function. 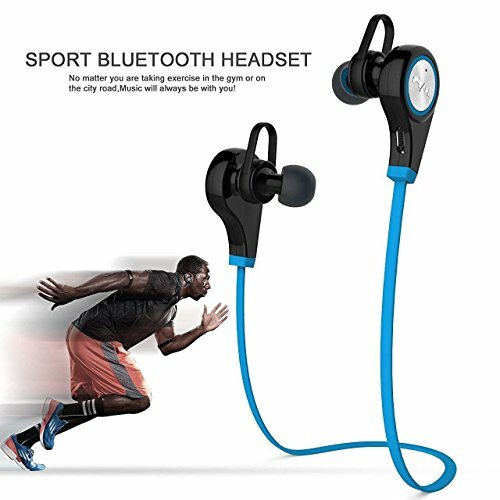 This wireless bluetooth headphones can intelligently filter ambient noise and reduce background noise, offers incredible sound quality, you can focus on your favorite music and enjoy yourself when you are at home, in the office, in the workout places etc. It is great for gym, jogging, running, cycling, biking, hiking, full body workout, exercise, training etc. This wireless headset use advanced Bluetooth version 4.1, easy to pair with iPhone, iPad, Samsung, Sony, HTC, Android Cell Phones, Windows Phones, and most Bluetooth enable devices.Ergonomically design! This wireless headset, Made By elecfan with Best Quality. If you have any questions about this product by elecfan, contact us by completing and submitting the form below. If you are looking for a specif part number, please include it with your message.